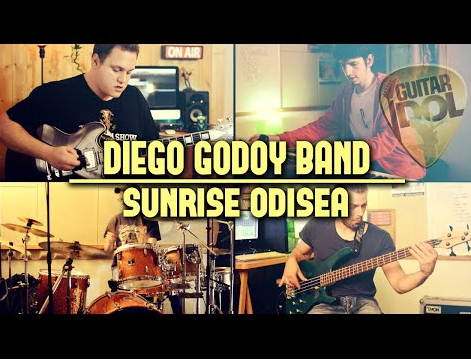 Let me introduce you to the new video clip from Diego Godoy who takes part in the Guitar Idol competition with his new song “Sunrise Odyssey”. The reason why I recommend it to you, apart from the fact that I personally think the song is fantastic, it is because I have had the opportunity to collaborate on this video due to the fact that some takes from “Sunrise in Barcelona” have been used in the introduction of this video clip. I recommend that you take a look at it and if you like it, give your vote on the competition’s website.